Here are few tips and tricks to make marriage a successful one. There is not just one map. We all have maps. As we journey together as a couple in our wedding, many of us will make a wrong turn, or get lost, or find ourselves on an unplanned detour not on our map. 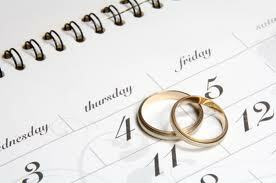 Keep your conversations with your life mate more invitational than need to help avoid the negativity trap in marriage. It is important in a successful wedding that both of you are true to yourselves as individuals and true to yourselves as a new life partner. Before you can do that you need to know what the two of you value. If you are in a marriage where mutuality is a value, you both seek what is best for one another. Mutuality is the way you positively relate to one another.